Looking for Susan's books? Then start here to learn more! Posting this series of blogs scared me a bit. The value of using pure informational feedback* over other forms of feedback almost always triggers an emotional response. Over the past five years, respected colleagues have tolerated my position, refused to consider it, or outright disagreed with it for philosophical reasons. However, I stand firm in the knowledge that personalized feedback* such as praising and disapproval are inferior forms of feedback that promote suboptimal motivation at best and are potentially damaging at worst. Carrots are external motivators designed to entice people to do what you want them to do for the sake of a tangible or intangible reward. Sticks are external motivators designed to pressure people to do what you want them to do through fear, guilt, shame, or to avoid disappointing others. In the spectrum of motivation, both of these types of motivation are suboptimal. 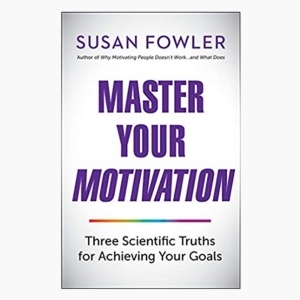 The compelling science of motivation shows that neither carrots nor sticks generate the sustainable energy required for people to achieve long-term goals and sustain high performance. Leaders misinterpret the word “works.” Enticing or pressuring people to perform may “work” to get short-term results, but it rarely works if you’re looking for long-term gains. Even if you get the results you want in the moment using carrot and stick feedback, inevitably, the quality of people’s work suffers—and so does the quality of their life at work. Carrot and stick feedback “works” if you don’t care about the quality of people’s output or their experience. Leaders don’t realize that people become dependent on their approval. 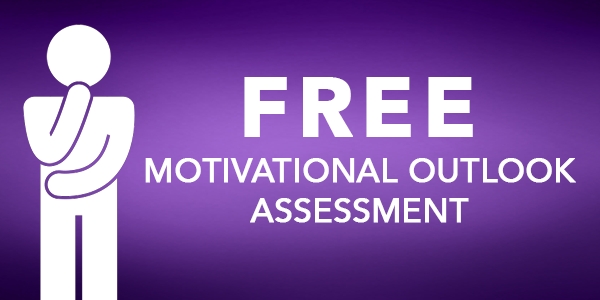 Whether it is the overt intention or not, your personalized feedback either draws on people’s desire to please you or to avoid feelings of guilt, shame, or fear. If the reason for people’s motivation is to please you, then their behavior is dependent on your continued praising. If the reason for their motivation is to avoid the guilt, shame, or fear generated from your disapproval, then their behavior is contingent on your disapproval changing to approval. Either way, people are dependent on you rather than their own evaluation and ability to self-correct. Your job as a leader is to develop people. Your role is to guide them from enthusiastic beginner to self-reliant achiever. How can you do this if they are dependent on your opinion, blessing, validation, or approval? Pure informational feedback gives people the information they need when they need it so they can learn to self-evaluate and make necessary corrections to pursue goals they’ve agreed to and are invested in achieving. You can wean people from their need for your approval by using pure feedback to develop people’s capacity for self-evaluation and correction. Leaders don’t recognize when carrots become sticks. Many well-intentioned leaders think that praising people must be a good thing. But when people are motivated by your approval, they often feel pressured to please you. 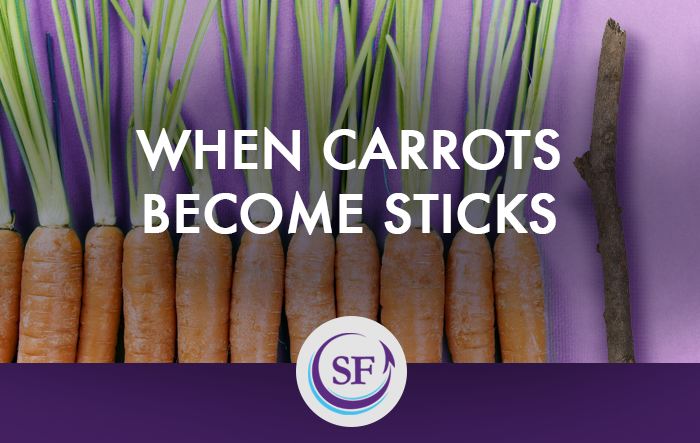 That’s when the carrot—your approval—becomes the stick—a form of pressure or source of tension. When people depend on your praising to validate their behavior, what happens when you aren’t there to praise them, fail to notice, or for some reason just don’t do it? Your lack of praising may then be experienced as rejection, shame, guilt, or regret. Ironically, the praising you hoped would bolster confidence or encourage future behavior generates feelings of ill-being. Leaders aren’t aware how the science of motivation offers healthy alternatives. Personalized feedback is junk food motivation because the impetus for people’s behavior comes from an external source: your approval or disapproval. Motivation science confirms that external motivation doesn’t generate the quality of energy necessary to elevate or sustain performance, creativity, and initiative. On the other hand, pure feedback provides people with a healthy alternative: the information they need to change, improve, or maintain their behavior with a sense of autonomy, relatedness, and competence.Pure feedback gives people the autonomy to accept the feedback and self-correct—or, the autonomy to not accept the feedback and face the implications. Pure feedback can’t be used to manipulate behavior so a deepened sense of relatedness can be achieved in a relationship. Pure feedback also provides a greater chance of people acting on the feedback for reasons they find meaningful and compelling. People develop a sense of competence as they experience the connection between effort and outcomes, and hard work and results. When people experience these three psychological needs through your feedback, they also experience the positive energy, vitality, and sense of well-being necessary for improving performance, innovation, and mental and physical health. I believe these four potential reasons may be why leaders struggle to let go of their penchant for personalized feedback in favor of pure informational feedback, but am curious what you think. We started with the question: “Is my feedback motivating?” The answer to that question is always “Yes.” Better questions to ask yourself are: “Is my feedback optimally motivating?” “Does my feedback give people the best chance of growing, learning, and developing?” The answer is “Yes” if you use pure informational feedback to ensure your people flourish—and that they put your feedback into action to deliver high-quality, sustainable results that they, you, and your organization seek. You followed all five steps outlined in our sales process in the first 30 minutes with the client. You are on target with your goals according to the action plan we agreed to in your performance plan. You hit one of the five steps outlined in our sales process during the first 30 minutes with the client, another one by the end of the call. Three of the five steps were not covered. You are two weeks behind with your goals according to the action plan we agreed to in your performance plan. I’m so proud of you for following all five steps in our sales process during the client call. I’m pleased with your progress on the goals agreed to in your performance plan. I wish you had prepared better for the sales call—only two of the five steps were followed. I’m disappointed—you are two weeks behind on your goals. Do You Have a Credo? Is Motivation What You Think It Is? How would you respond to losing your desk? Do You Encourage People to Ask for Help? Well, here’s one person in the trenches who agrees with every word. As a call center manager/director, I’ve spent a decade and a half with carrots and sticks and have recently spent so much time wondering why these efforts (and I spent many hours training supervisors how to use them) have not produced nearly as many better teams, cultures, or well-developed individuals as I would like. This wondering caused your book to stick out like a flashing light on the shelf at B&N as I browsed one day. I finished the book yesterday on a long flight and my brain felt infused as with a couple hundred milligrams of caffeine as I realized what I’d been missing all these years. I haven’t yet had an opportunity to practice and implement, but this philosophy tastes good and rings true. If people are pushing back or ignoring this it will be at their peril, because those who listen and integrate will outperform them. I for one can’t wait to get cracking on a massive paradigm shift in my organization. Thanks so much for your work, Susan. This blog series is a great addition, and I’ll continue to follow.